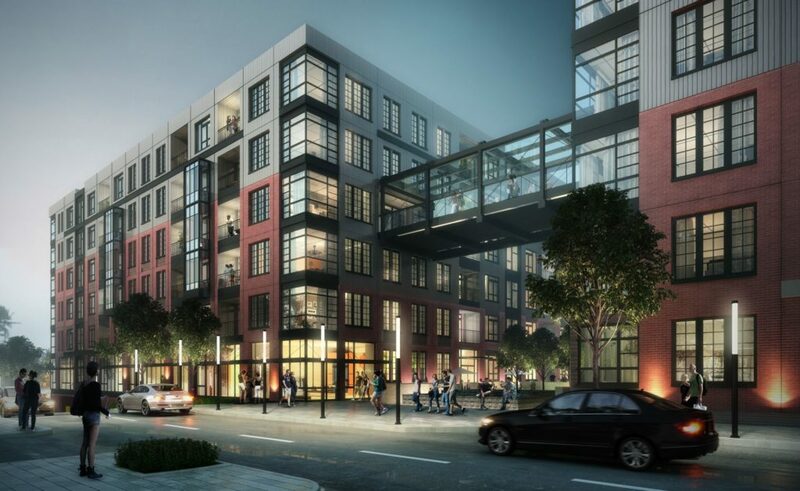 A project microsite was published the day prior unveiling fresh renderings and project specifics. 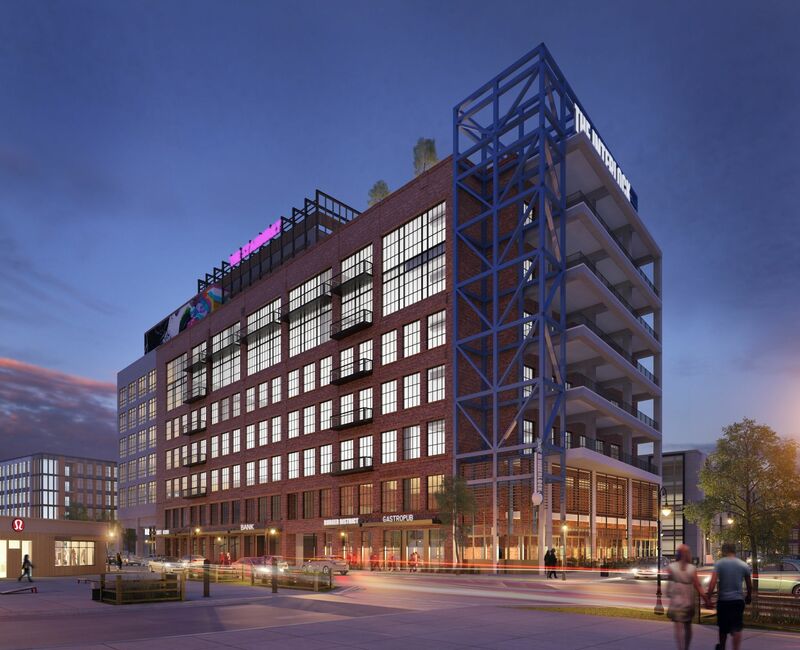 The Interlock will offer 200,000 square feet of loft office space, 90,000 square feet of retail, 350 apartment units, 70 single-family homes, and a 125-key boutique hotel, according to the newly-released marketing materials. Georgia Technology Venture will operate a 50,000-square-foot "incubator space" (included in the 200,000-square-foot office figure) with a mission of "promoting and growing tech start-ups in the southeast." "Beyond a curated selection of stores and eateries, The Interlock was designed to encourage walking, biking, and basking outdoors," according to the project's website. 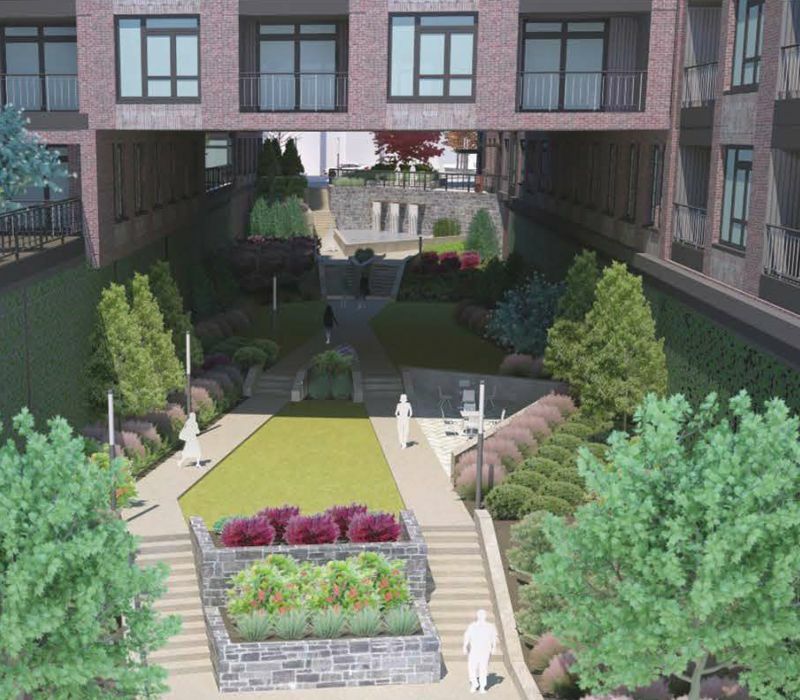 "With plenty of green space, patios and a wide multi-use path that connects each end of the property, people can gather, stroll and enjoy the open-air landscape." 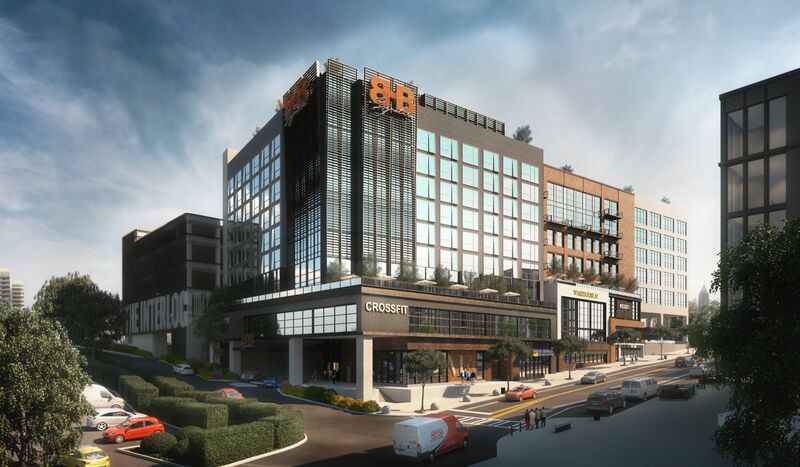 Several of the buildings will offer "rooftop venues," one of which will be a "fully-loaded bar overlooking the Atlanta skyline." Developer S.J. 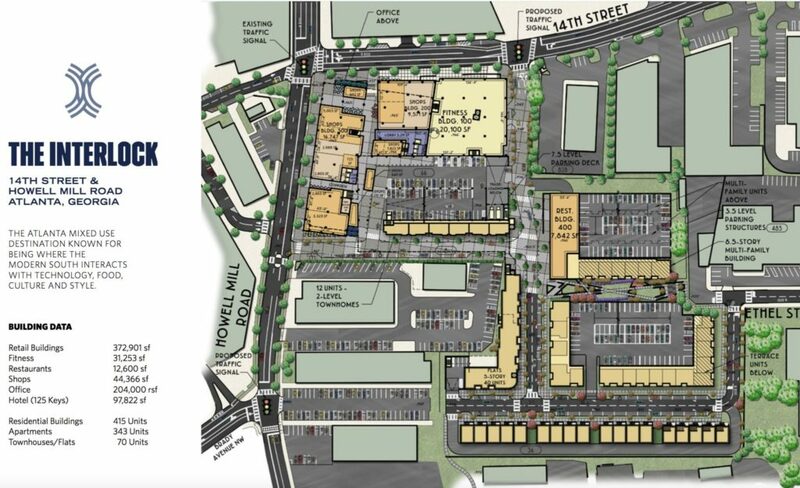 Collins Enterprises first announced The Interlock late-2017 and earlier this year completed rezoning efforts. A timeline for construction and tenants slated for the project have not yet been confirmed. [Rendering] Will The Ritz-Carlton Anchor New 51-Story Selig Tower in Midtown?